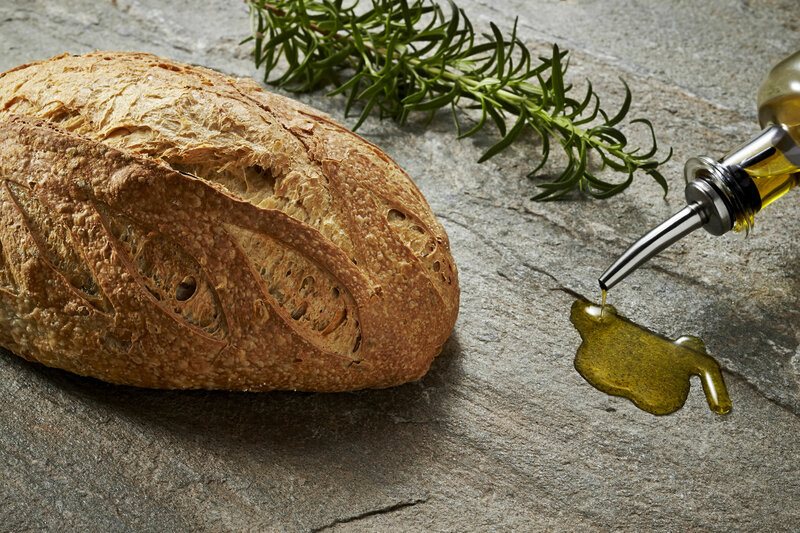 This beautiful loaf is loaded with fresh rosemary and scored in a distinctive decorative pattern. This bread pairs perfectly with meats and adds unique flavor to any meal. Each loaf is hand-formed by our Artisan bakers. Extra virgin olive oil is a main ingredient (Kosher).